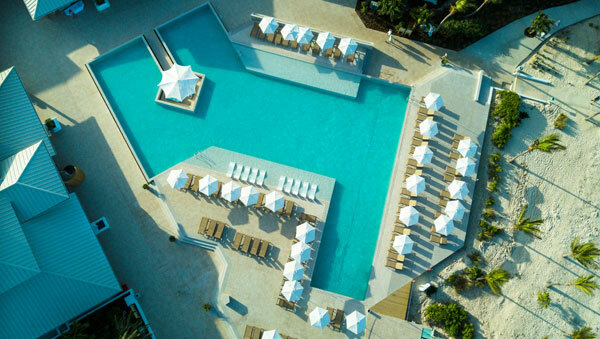 Club Med reports the transition of its fan-favourite Club Med Turkoise resort from a “3 Trident” resort to a “4 Trident” resort, starting May 1. By earning its fourth Trident – the company’s star rating system – Club Med Turkoise celebrates the enhancement of its guest experience to provide an even more upscale, all-inclusive vacation for adults in Grace Bay Beach, consistently ranked one of the top three beaches in the world by TripAdvisor. The transition from a three-star rating to a four-star rating is a result of the resort’s recently unveiled renovations to the entire property, combined with additional service enhancements planned for this summer. Guests checking into Club Med Turkoise can expect the following: 80 all-new Deluxe-level rooms with added balconies; a new pool design; Blue Coral, a new main bar created as part of the resort’s enhanced food and beverage options; Grace Bay Restaurant, the resort’s main restaurant underwent a refresh to offer a more chic, joie de vivre vibe and to create a new wrap-around terrace for unobstructed views; renovated fitness centre and new wellness area. Starting this summer, a new wine cellar will also open adjacent to Grace Bay Restaurant to offer premium selections of wine to enjoy on a private, open terrace.